How much will a newspaper buy a story for? Is everyone whose story is printed in a newspaper or magazine automatically paid? No, most people who tell their stories are not paid. The reasons are numerous – most usually they didn’t think of actually selling their story and don’t ask for money. Some people are happy just to get some coverage – for example, they want to raise publicity or raise awareness of a cause. Or they might not want money for their story. Others might not have thought their was worth any money. Or they might have spoken with a big press agency or local newspaper that has without their knowledge sold their story to the national press. Does every newspaper and magazine pay people for stories? No, not every publication pays for stories. Some papers, such as the local press, simply do not have the budget to pay interviewees. Some parts of the national press also have a general policy that they won’t pay for a story. This is the same for magazines. Are payments the same for each national newspaper or magazine? No, some newspapers will value your story more than another newspaper. Meanwhile, it is unlikely every magazine will want your story. The reasons can be very basic – for example, your age. Some magazines cater for younger readers or older readers and you won’t be the right age for them. Some stories might have legal issues that will put some editors off – whereas another editor on a different paper might fight through the courts to get those legal issues overturned. Unfortunately, the publication you like to read might not be the one that will pay the best price for your story (or even want your story…) so bear this in mind. How do you ensure you get the right price for my story? Because we are so very experienced, we know which magazines and national papers are most likely to be interested in a story. We also know which is likely to give it the biggest ‘show’ (a page, a double page or a front page) and therefore which editor is most likely to offer the most money. But as well as this, if we think several editors might like your story, we can put it out for auction – this means several publications can make an offer and you take the highest price. 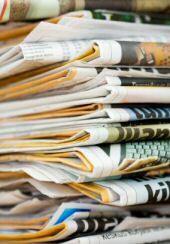 Is it true that newspapers and magazines often pay thousands of pounds for stories? Newspapers and magazines will pay thousands of pounds for a story that they really want. But the vast majority of stories are sold for hundreds of pounds and not thousands of pounds. I don’t want to sell my story for less than £1,000? Unfortunately, if no-one wants to pay this much money, you might not sell your story at all. However, as an agent, we can sell your story to a variety of publications. And as you are paid each time your story is published, this can greatly increase the total amount of fees you can earn. Is selling a story legal? Selling your story and being paid for your personal real life story is perfectly legal. And in fact we believe interviewees should be paid for their story. After all, publications and journalists are making money out of stories, so why shouldn’t you? However, there are times when it is not legal to pay an interviewee. One example is paying money to a criminal. In this case a criminal (including his or her family) can not be profiting from a crime. There are other laws too which make it illegal for members of the press to pay cash for stories. At National Story we can tell you if these laws apply to you. If you cannot legally be paid for your story we will say and often you can still tell your story if you wish.